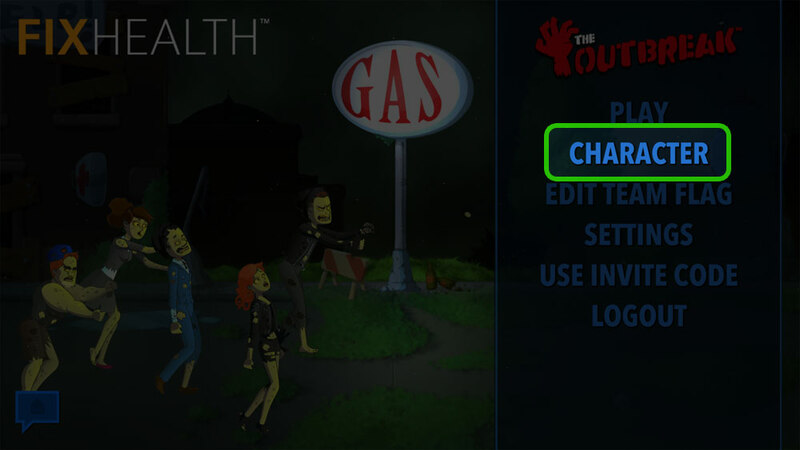 1) In THE OUTBREAK, select CHARACTER from the main menu. 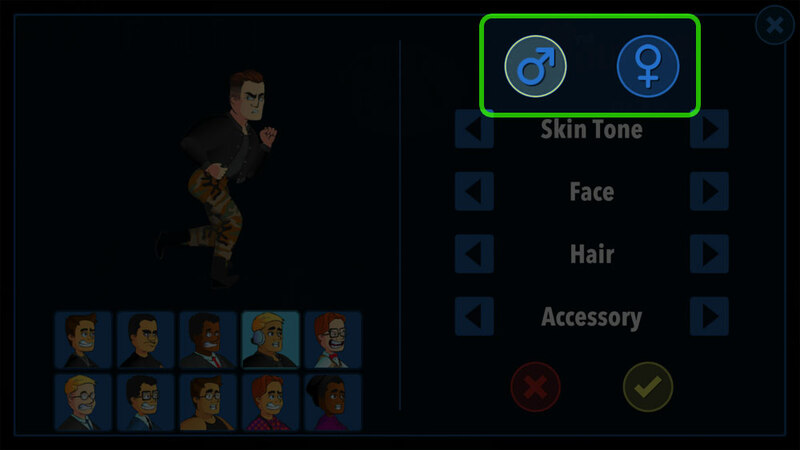 2) Use the MALE and FEMALE icons to toggle between male and female characters. 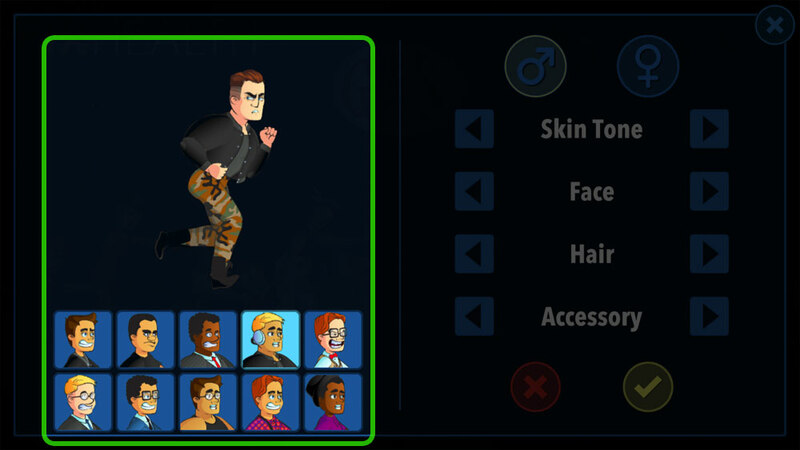 3) Select a base character to customize from the base characters on the left. 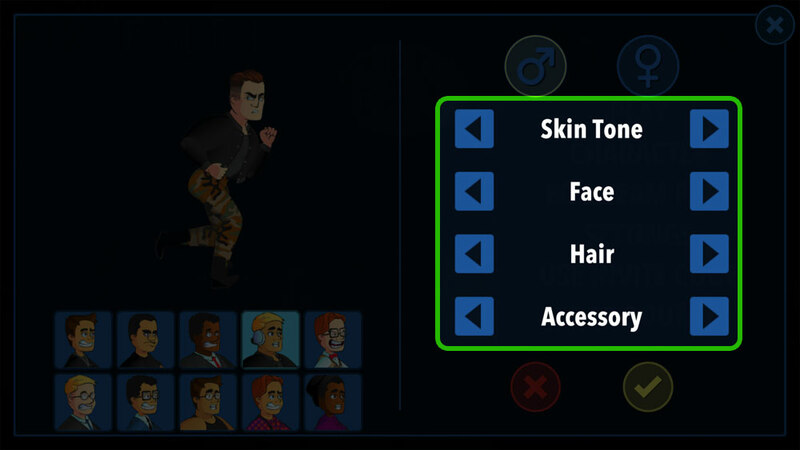 4) Use the LEFT and RIGHT arrows next to each category to cycle through different skin tones, faces, hair and accessories.